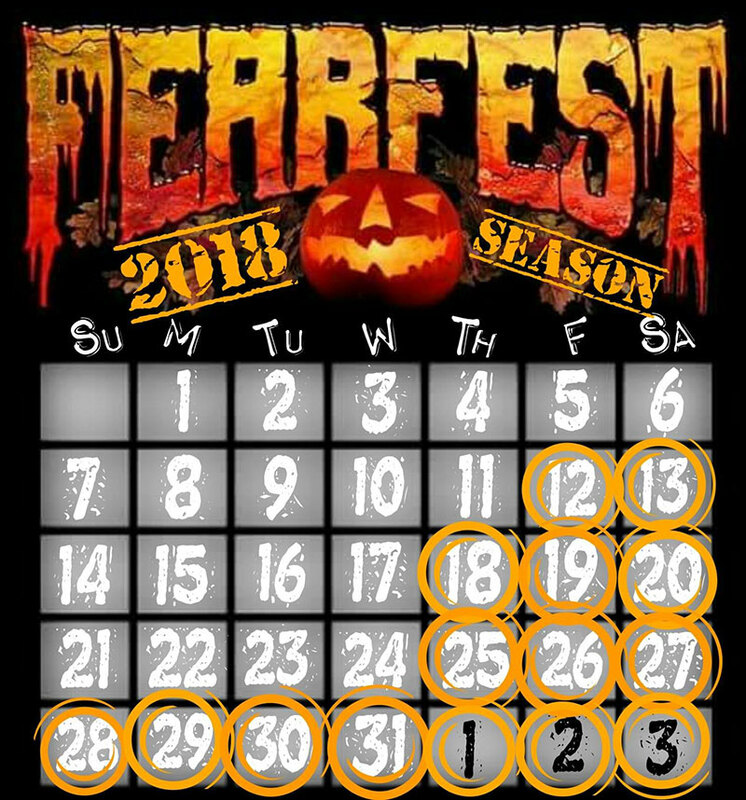 FearFest is open every Friday and Saturday from October 12th to November 3rd, plus October 18 and then every day from October 25 through November 3. Fridays and Saturdays FearFest is open from 8:00 pm to 12:00 am. All other open days the hours are 8:00 pm to 11:00 pm.